SMART PLANET� BACON NATION� BACON MASTER� APSP1BM Cooking surface is 11. 5"/ up to 8 Slices Detachable housing insulates & prevents splattering Heating control timer with settings for light, crispy, and extra crispy Vertical cooking drains off fat for healthier cooking. Cooks bacon evenly without turning. 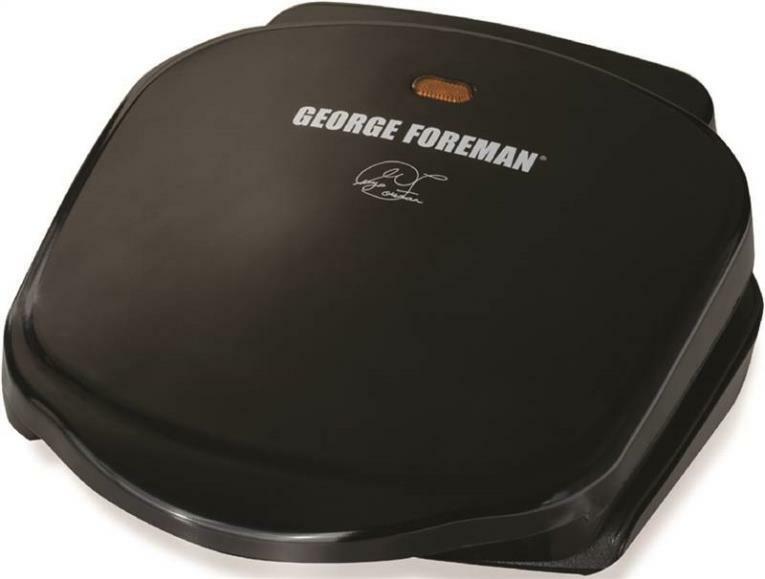 The Black finish George Foreman Next Grilleration is here. This 5-serving grill allows for easy cooking for the whole family in under 20 minutes. The nonstick coating and patented slope design make every meal a healthy one. And clean up is also worry free thanks to the dishwasher safe removable plates. Large surface area lets you cook up to five servings at once for quick and easy family meals in under 20 minutes; 2 dishwasher-safe removable grill plates for easy clean up every time; George Tough Triple non-stick coating is durable & eliminates need for oil or butter; Exclusive fat removing design removes up to 42% of the fat from 1/4 lb. 80/20 Ground Chuck; Floating hinge gives you the ability to adjust height to accommodate a wide range of foods. This item cannot be shipped to APO/FPO addresses. Please accept our apologies. 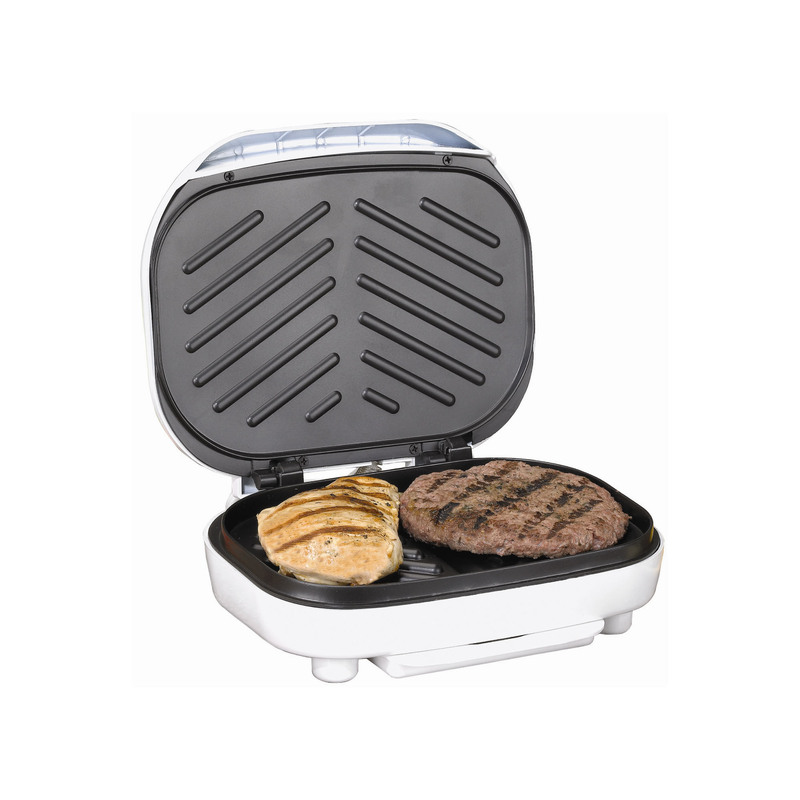 George Foreman 6 Serving Removable Plate Grill has a spacious 100 Sq. In. grill with convenient top-mounted digital timer and temperature control gives you precise and consistent results time after time. Dishwasher safe removable plates ensure no fuss clean-up! Integrated handle is ergonomic & compact; George Tough Triple non-stick coating is durable & eliminates need for oil; Patented sloped grill design knocks out the fat; Embedded heat elements provide consistent heat & rapid recovery time; 2 Plates included: 2 ribbed grill plates; Dishwasher safe removable plates with cool-touch handles for easy clean up; 2 drip trays catch run off liquids for no-mess clean up. This item cannot be shipped to APO/FPO addresses. Please accept our apologies. With 36 Sq. In. 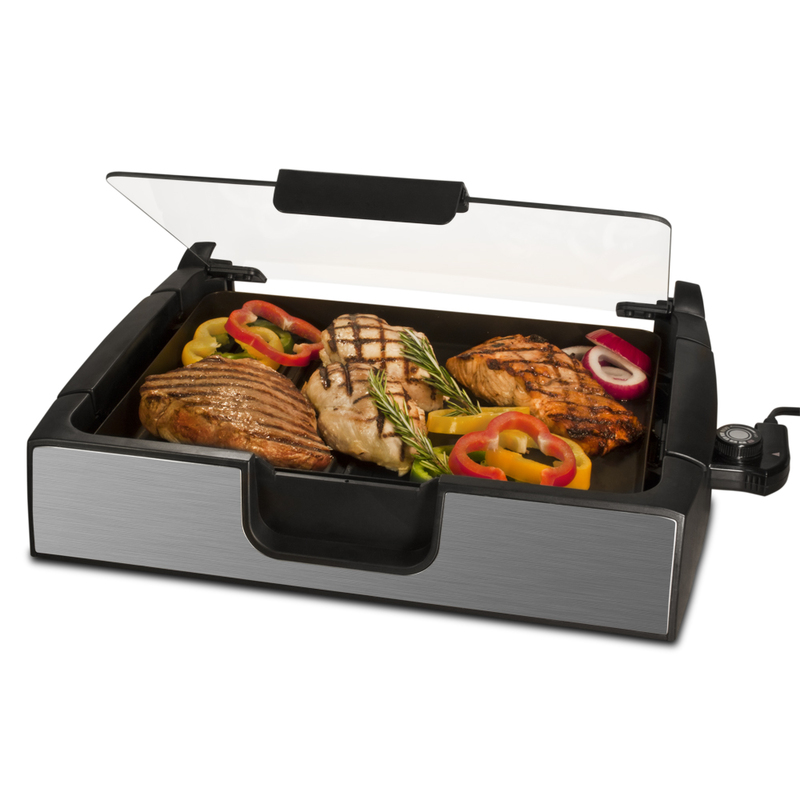 cooking space, you can make up to 2 servings of your favorite grilled foods with ease G+( fresh or frozen! 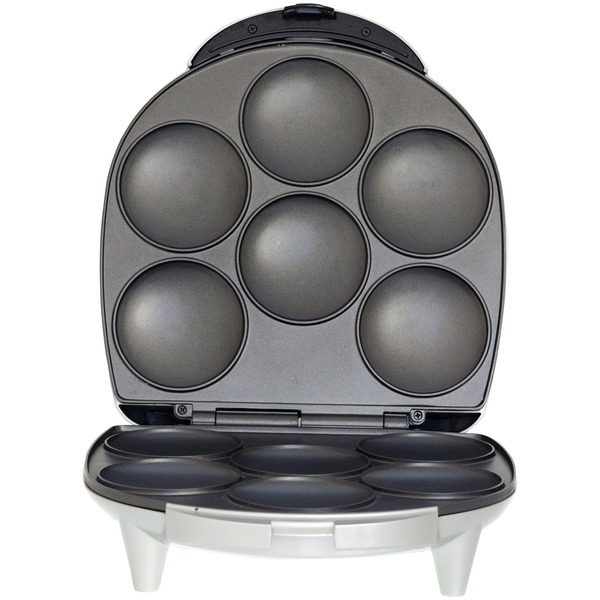 The patented sloped design and double nonstick coating allow fat and grease to drain away from food. 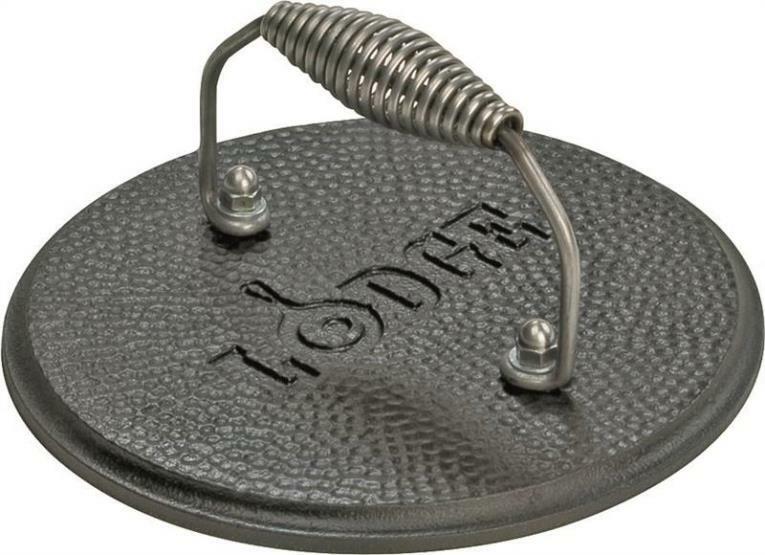 Signature Foreman heating elements provide even heat from the center to the sides of the plate and faster temperature recovery time. All this, plus dishwasher safe drip tray for no-hassle cleanup. SMART PLANET� PREMIUM SMOKELESS� STAINLESS STEEL GRILL �SIG4 This �grill that can do it all – �yes all and at the same time! 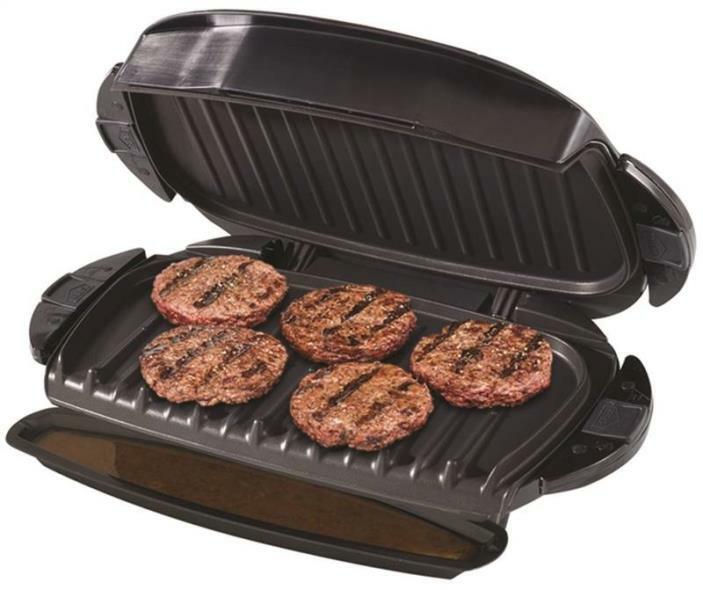 The Gourmet Smokeless Indoor Grill features a grill and a griddle so you can create multiple dishes at the same time. With a variable temperature control up to 450 degrees searing is easy. It comes� with a �150-square-inch nonstick cooking surface �which has plenty of room to grill several steaks, sausages or burgers at one time. The glass cover provides a good view� to how the food is cooking and also prevents �splattering. The glass cover �which can also be placed in the upright lock position while cooking on the grill is also removable for easy cleanup. With a powerful 1500-watt heating element , this �grill gets up to temperature quickly. With the high searing temperature, you can lock in flavorful juices or reduce the heat and grill more slowly, depending on the recipe. The nonstick surface of the grill allows fat to drain away for healthy cooking. The drip pan provides virtually smoke-free cooking, and is dishwasher safe for easy cleanup. Its great for summer� but also �great� for Barbeques in winter. You don’t have to go out in the cold to �check on your Burgers or steaks �while it’s snowing or raining. 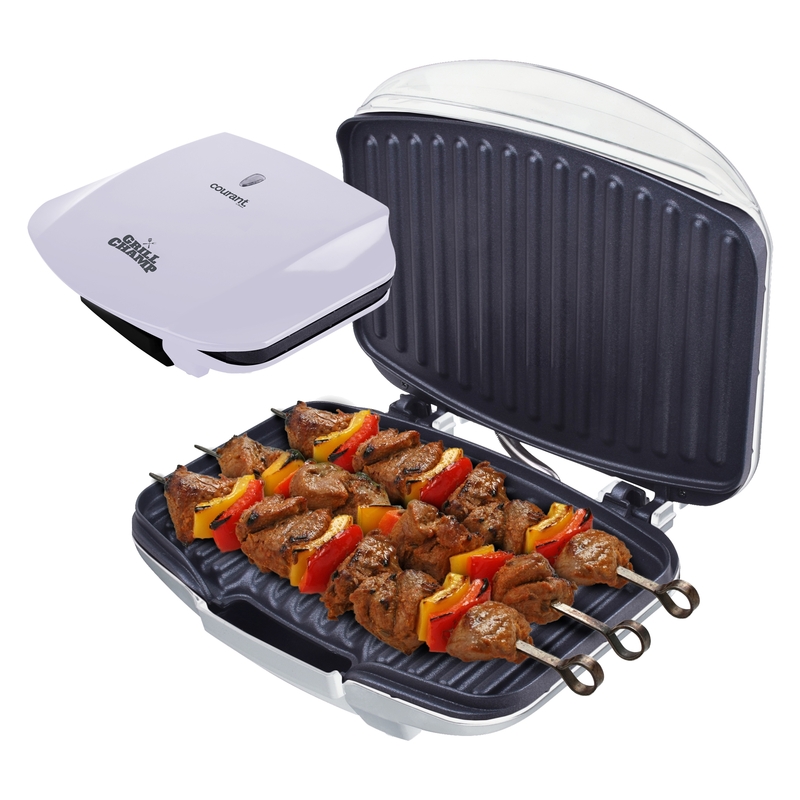 The �smart grill provides an obvious� solution �A better indoor grill!!! It’s not too heavy, or hard to put together and use. It has enough grill space to cook a whole meal and get hot enough to get a good sear on the meat. Most importantly, if used properly �it won’t set off the smoke detector every time you use it. Luckily, someone finally built the indoor grill that meets all of these requirements. It’s a year-round barbecue without the mess of charcoal, making cold-weather grilling a much more pleasant endeavor. Best Used For: Grilling burgers, steaks, lamb, chicken and fish. Features : ������������ Make food for the whole family and friends with the Indoor Grill. ��������� Non-stick surface for easy clean-up. ��������� 1500 watts: high temperature locks in juices and flavors. ��������� Grills up to 450 degrees. ��������� Glass Cover prevents splattering and preserves flavor. 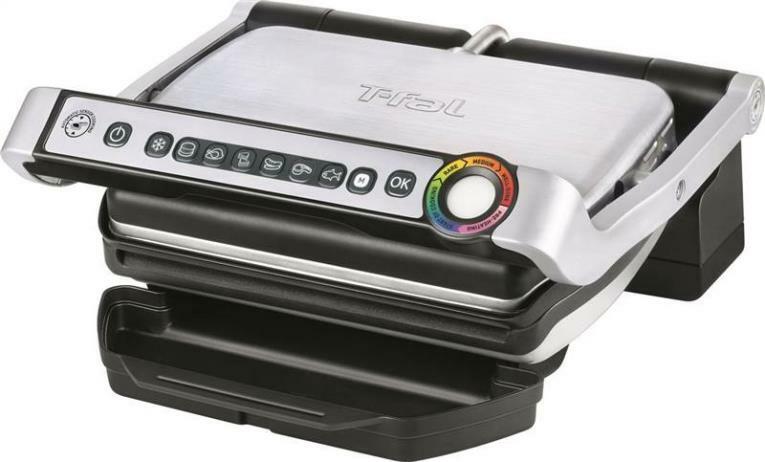 ��������� Grill & Griddle to create multiple dishes at the same time. ��������� Removable drip pan and parts for easy clean up ��������� Extra Large 150-square-inch cooking surface (approximately 10. 5X15 inches) ��������� Cool to touch handles and base � . 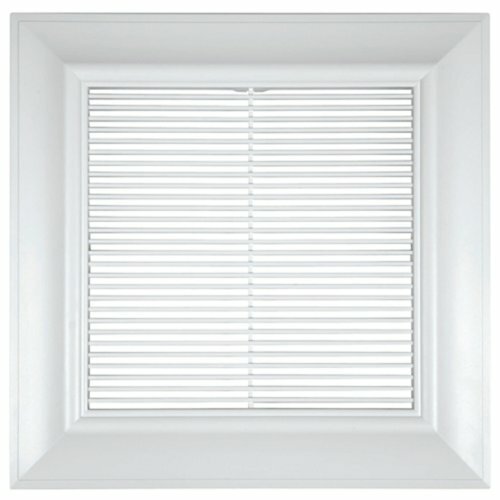 -GL3TDB Panasonic now offers optional grilles for select Whisper series models to complement its innovative, advanced ventilation fans. 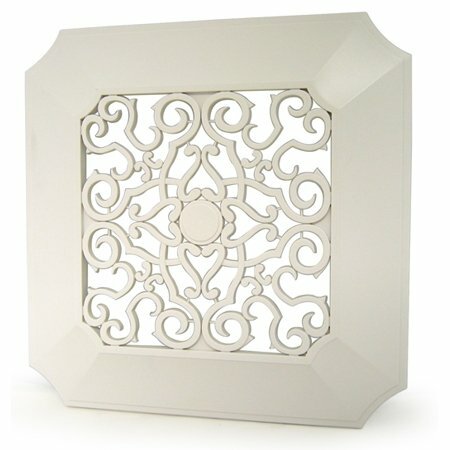 FV-GL3TDB is finely detailed with robust proportions. FV-GL3TDA Panasonic now offers optional grilles for select Whisper series models to complement its innovative, advanced ventilation fans. FV-GL3TDA is subtle, unobtrusive and blends in for a natural look. Approved for the following fans: FV-05VK3, FV-08VK3, FV-08VKS3, FV-13VK3, FV-13VKS3, FV-05VQ5, FV-08VQ5, FV-11VQ5, FV-15VQ5, FV-05VF2, FV-08VF2, and FV-11VF2. 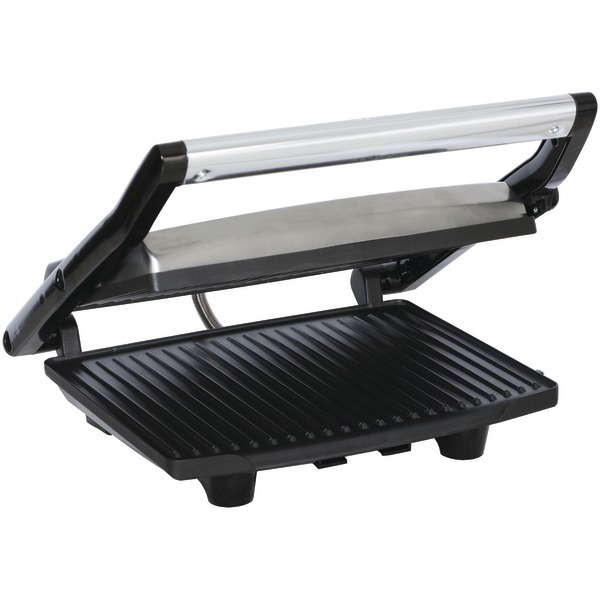 The 600W Electric Contact Grill, 2-Slice Capacity, makes indoor / low-fat grilling easy. The TS-605 adds sear marks to whatever you cook inside. Its nonstick coating makes cleanup easier, plus the drip tray is dishwasher safe. The Contact Grill stands upright for compact storage. 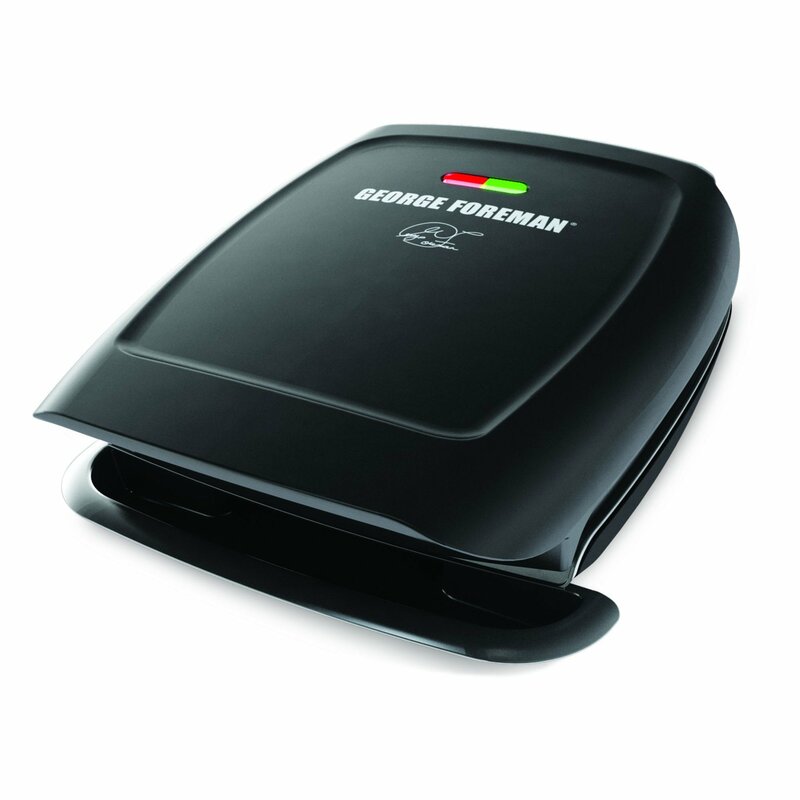 Cook your favorite meals with less fat with this George Foreman 4-serving Fixed Plate Grill in Black. 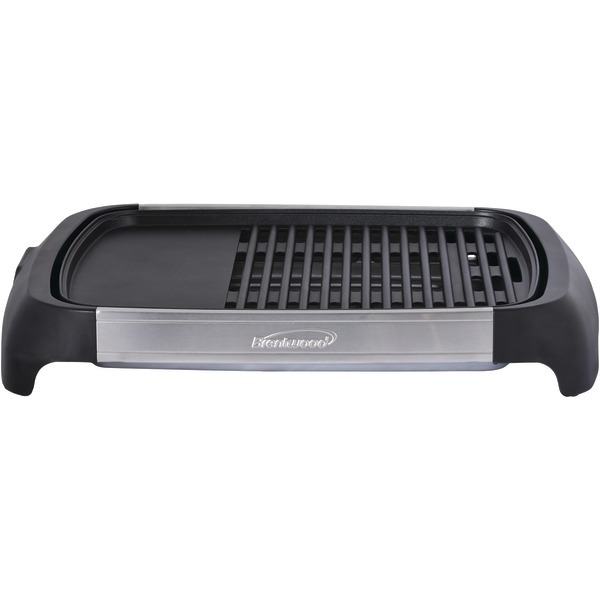 This grill accommodates up to four servings of your favorite meats, and it has a sloped design to drain the fat away. This George Foreman Cooking grill also has a nonstick cooking surface, so you can remove chicken, steak or pork with ease. The 60 sq inches of cooking surface provides plenty of space for grilling, so you can cook for the whole family with this convenient nonstick grill. 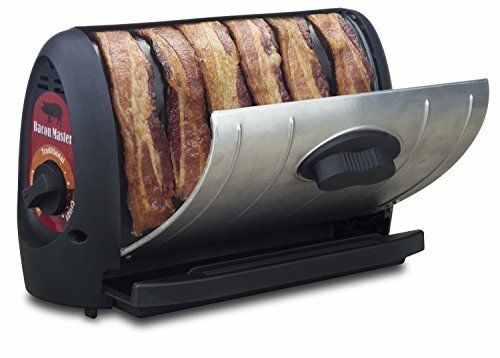 Welcome to a healthier way to cook bacon to delicious perfection! 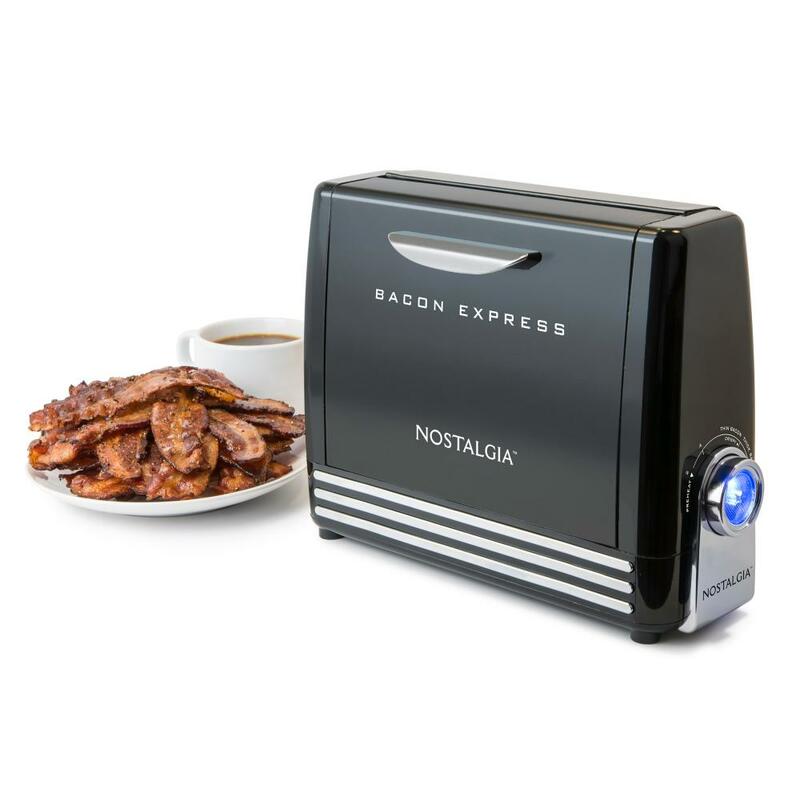 Use the Bacon ExpressGS= to easily cook up to 6-strips of regular-cut bacon in just minutes G+( no need to flip! Simply adjust the illuminated dial timer to your desired cooking preference, and allow the unique vertical cooking method to drain away fat and grease for fast, healthy cooking. Cool touch handles make it easy to open the doors and view the cooking process. When done cooking, the non-stick cooking plate and insulated door liners remove for easy cleanup.